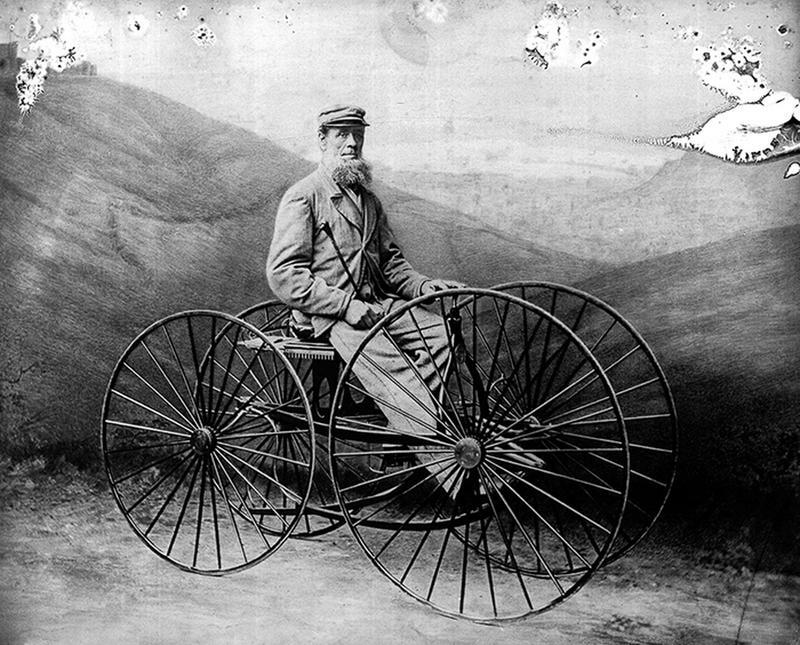 In 1818, Baron Karl von Drais of Germany patented the design of a two-wheeled running machine or “Laufmaschine,” with two in-line wheels under a seat and handle bars, and was propelled if the rider push off the ground with his feet. 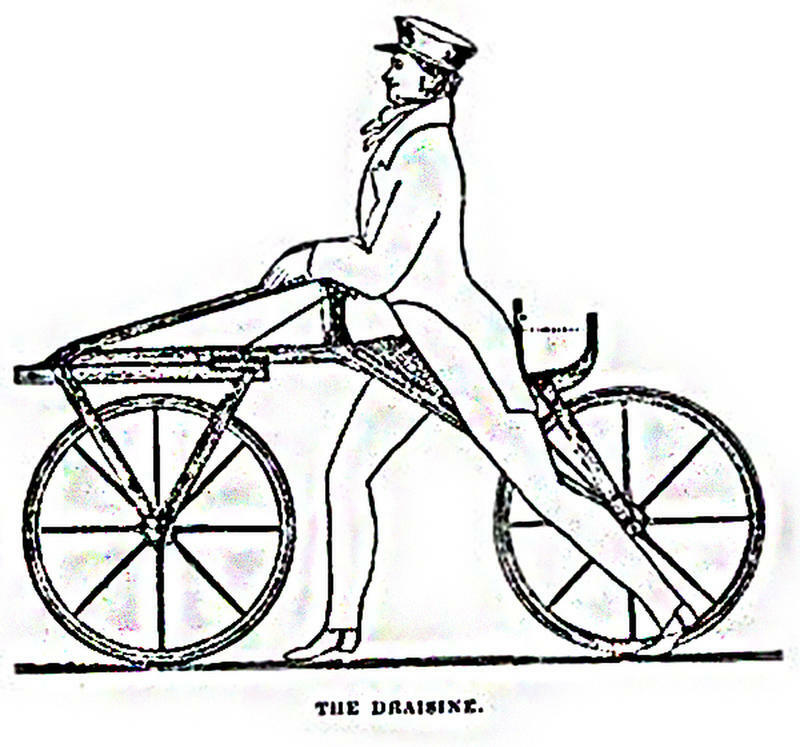 Also called the “Draisine,” the machine was created out of necessity - Drais wanted a ride to substitute for the horses that have starved to death during a volcanic winter in 1815 caused by the eruption of Mount Tambora. 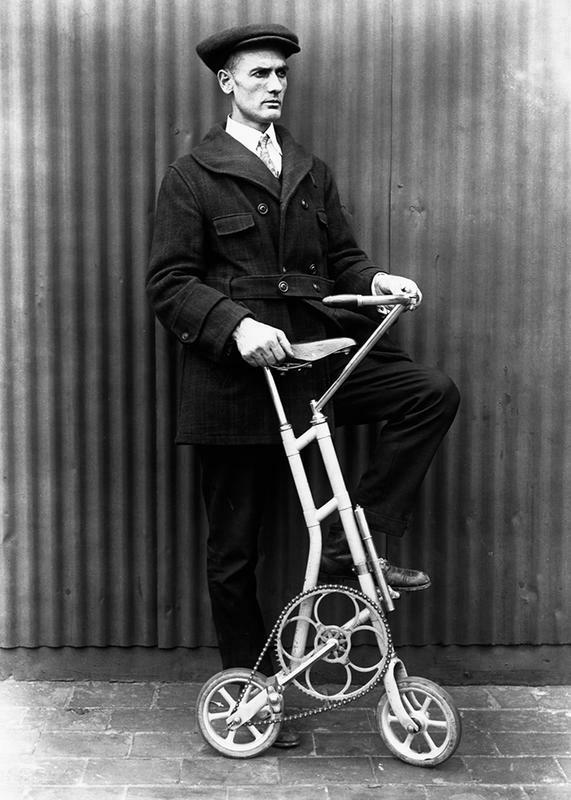 The contraptions became an instant hit but their popularity was short-lived as many cities passed regulations against the use of velocipedes. The regulations were mainly because of the state of the streets at the time which was rough, so riders took to the sidewalk plowing startled pedestrians aside. Over the next few decades, numerous innovations popped out — three- and four-wheeled machines propelled by cranks and pedals. 1850: A four-wheeled "pedamotive carriage." But it wasn’t until the 1960s that people became courageous enough to take their off the ground and balance on two wheels. Once that fear was conquered, riders wanted to ride faster. The simplest way to achieve that was to increase the diameter of the front wheel. So wooden wheels were replaced with tensile wire-spoked wheels to accommodate the increase in diameter. 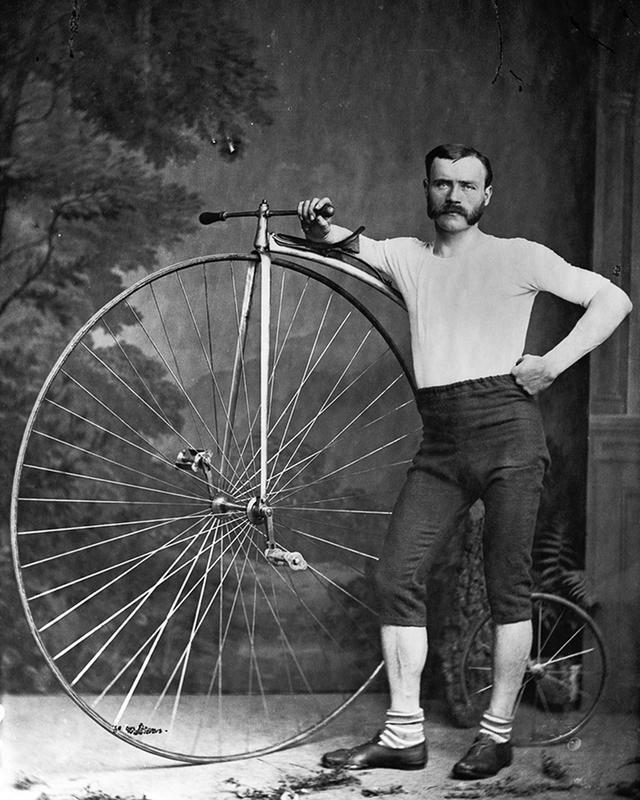 The size of the front wheel was only limited by the length of the rider’s legs. 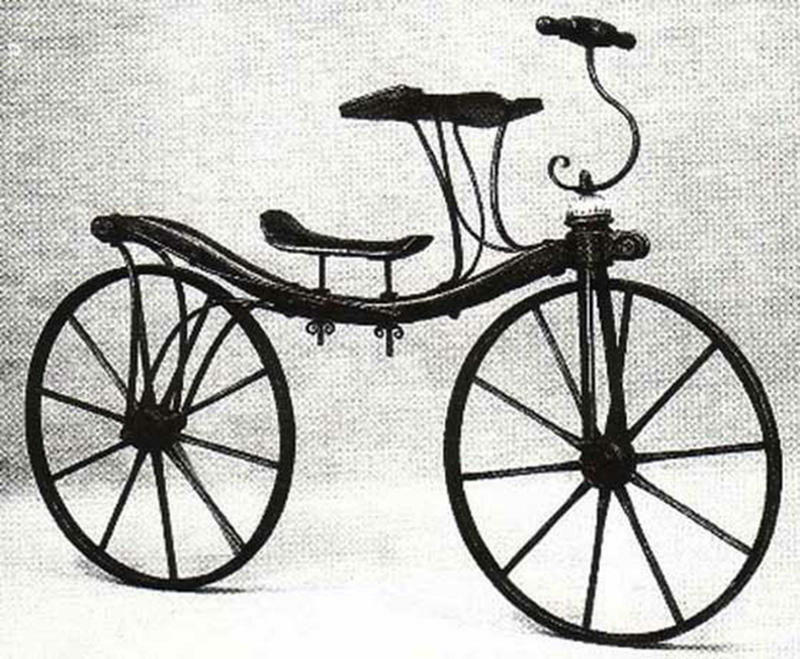 1888: A tricycle with inflated rubber tires built by John Boyd Dunlop, founder of the Dunlop Rubber Company. 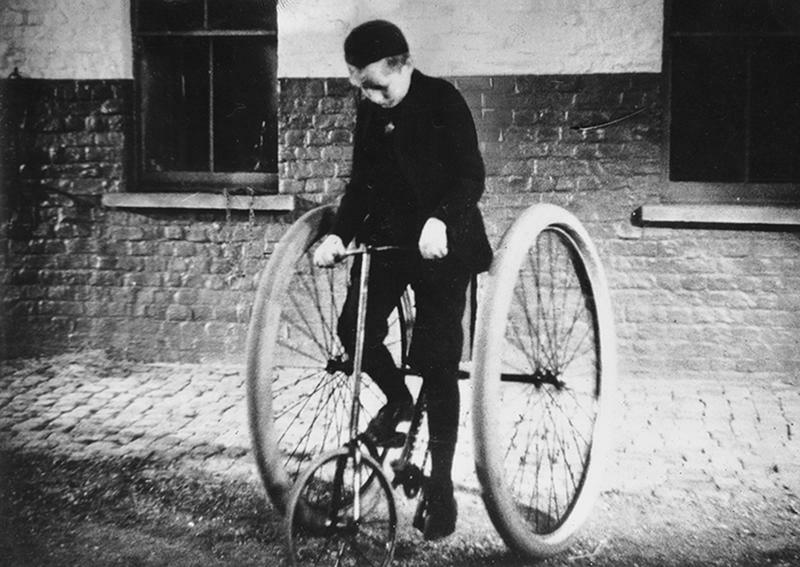 The new bicycles, with massive front wheels and small rear wheels, were called “penny-farthings,” after the coin and its smaller cousin. 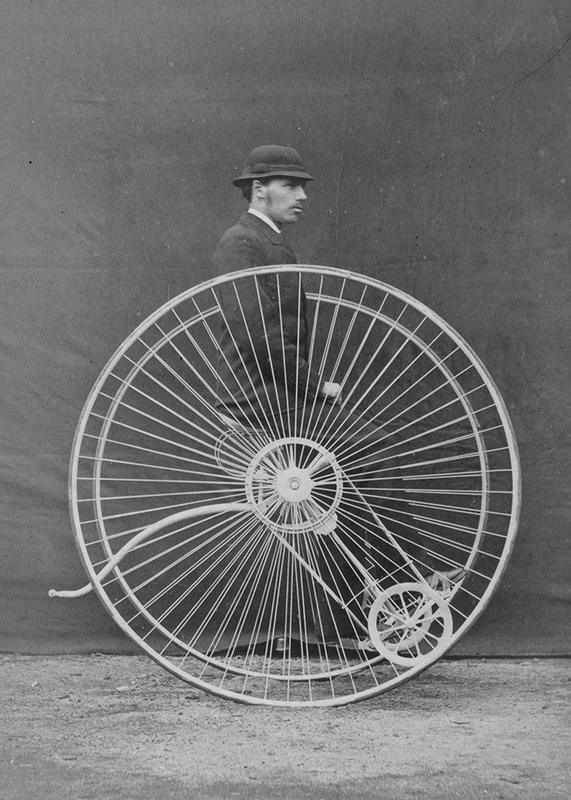 Penny-farthings were used in races by daredevils, but the height of the rider’s seat led to falls. Naturally, there was high demand for a fast bicycle that can still be ridden safely. 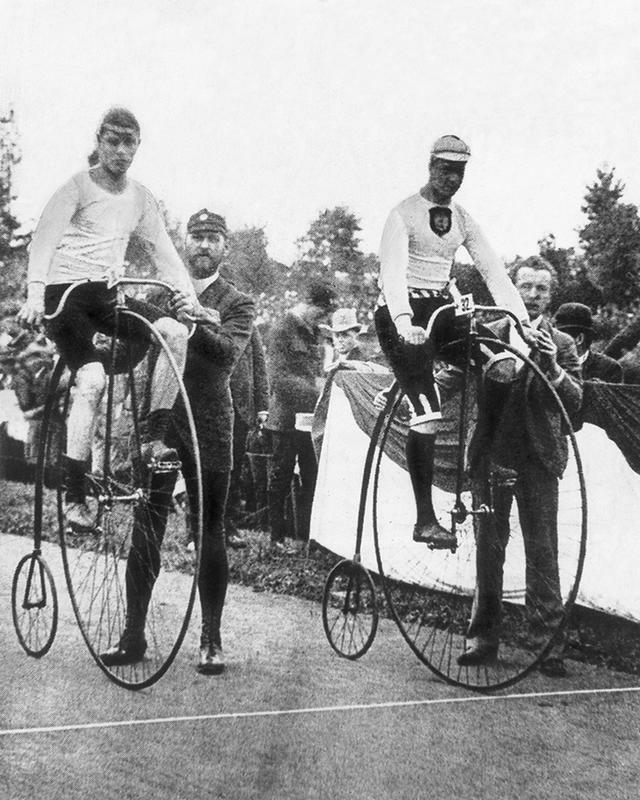 1889: The first world cycling championship in Berlin, Germany. 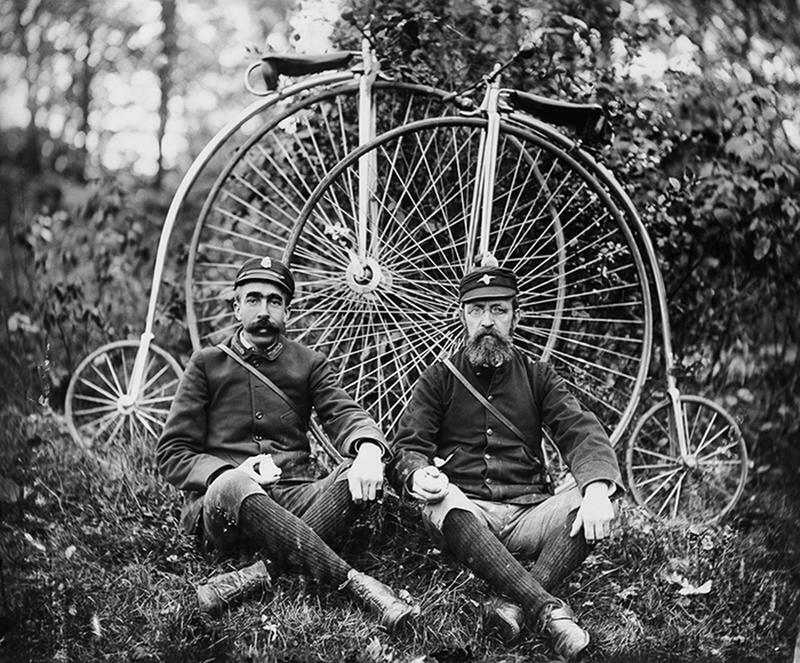 c. 1890: "Wheelmen" pose with their penny-farthing cycles. 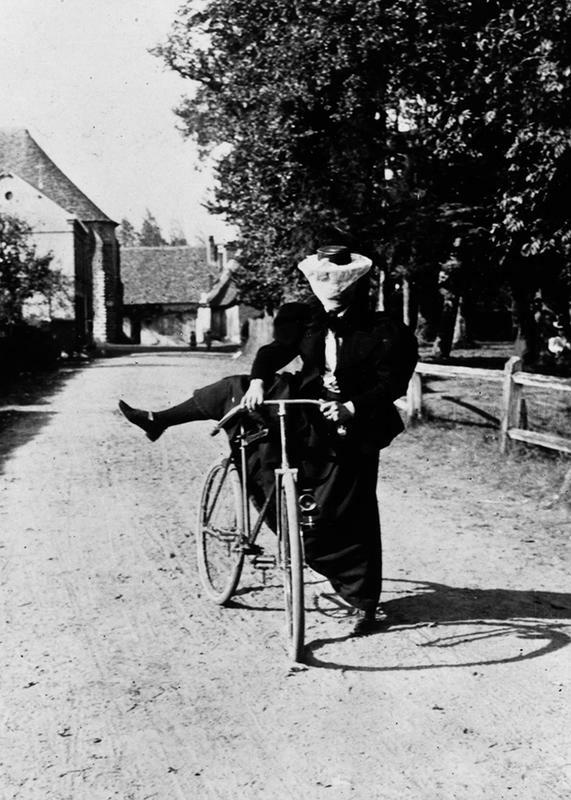 1890: A lady mounts a safety bicycle. 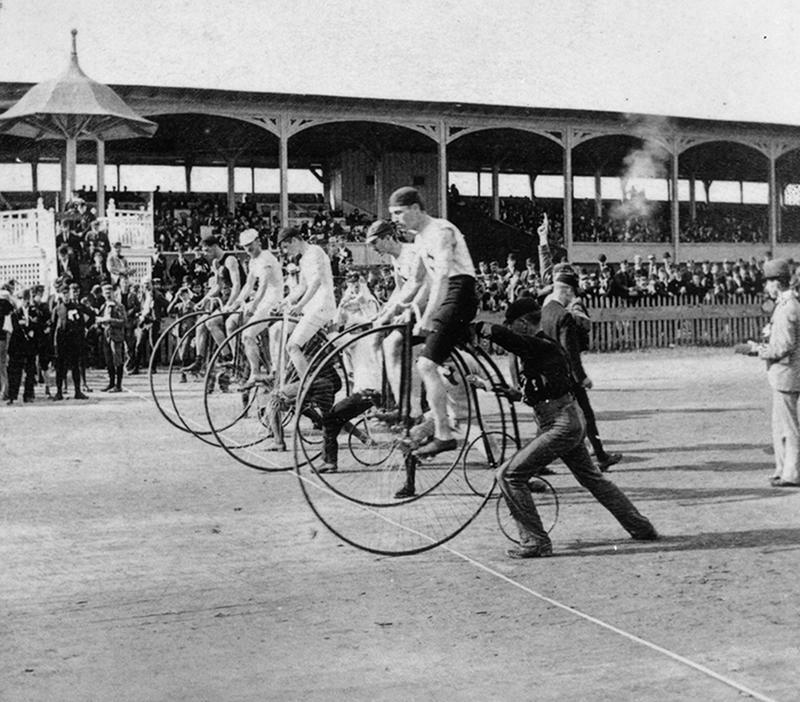 1890: A penny-farthing race in New York. 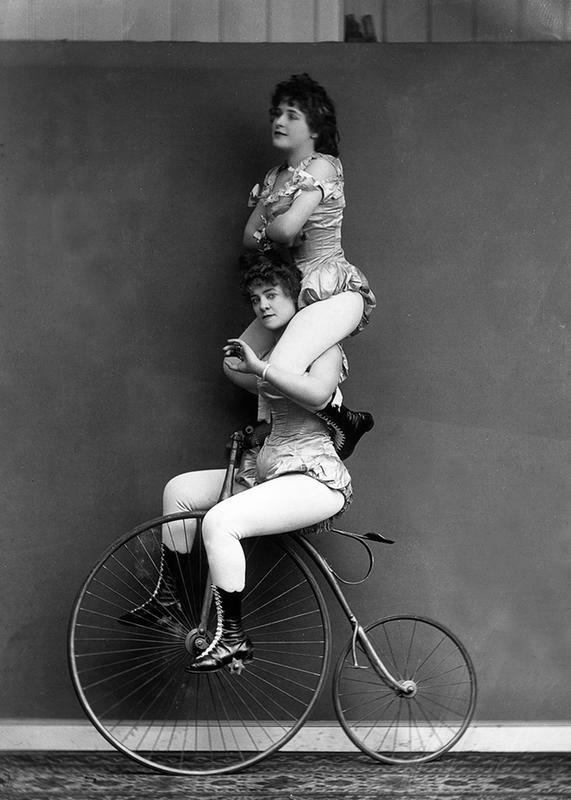 1891: Victorian cyclists perform a balancing act on a penny-farthing. 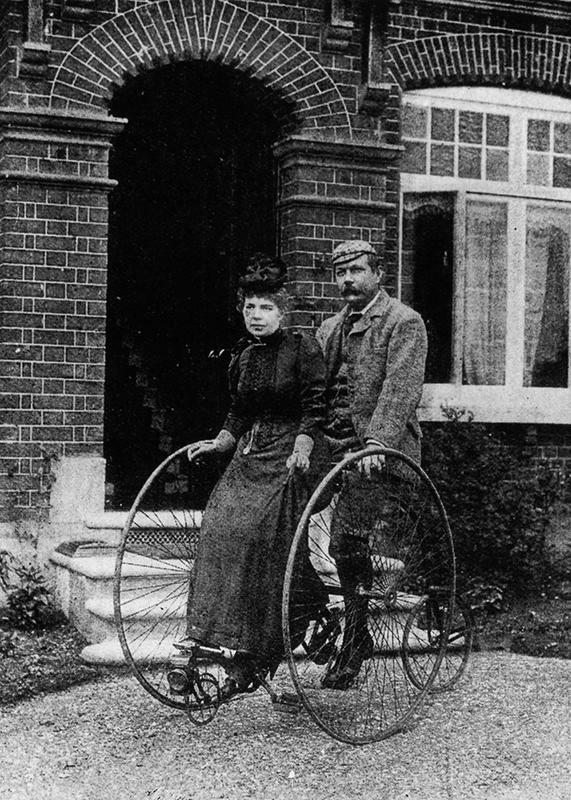 1895: Sir Arthur Conan Doyle and his wife ride a tandem tricycle. 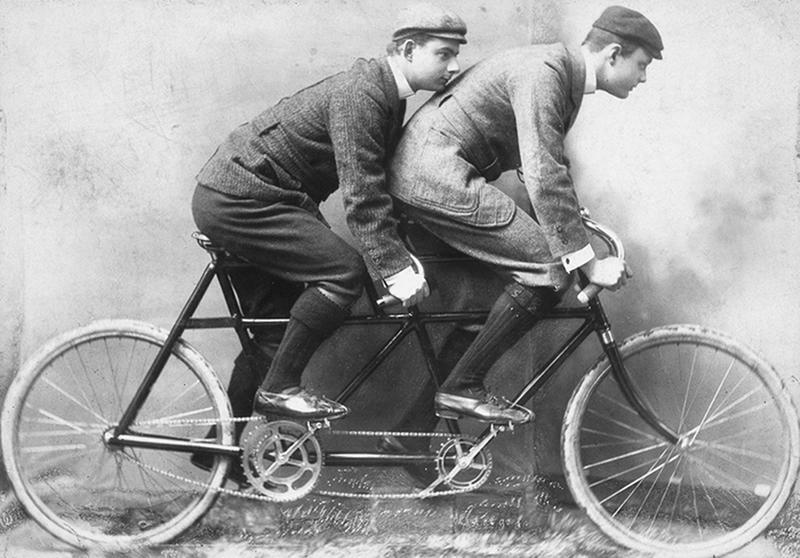 1895: Charles Stewart Rolls (right), cofounder of Rolls-Royce, rides a tandem bicycle with a fellow Cambridge University student. 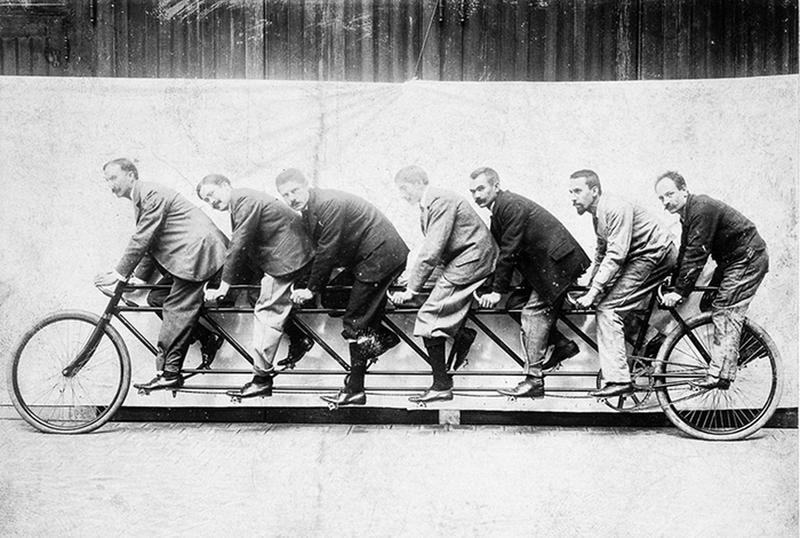 1895: A seven-man tandem bicycle. 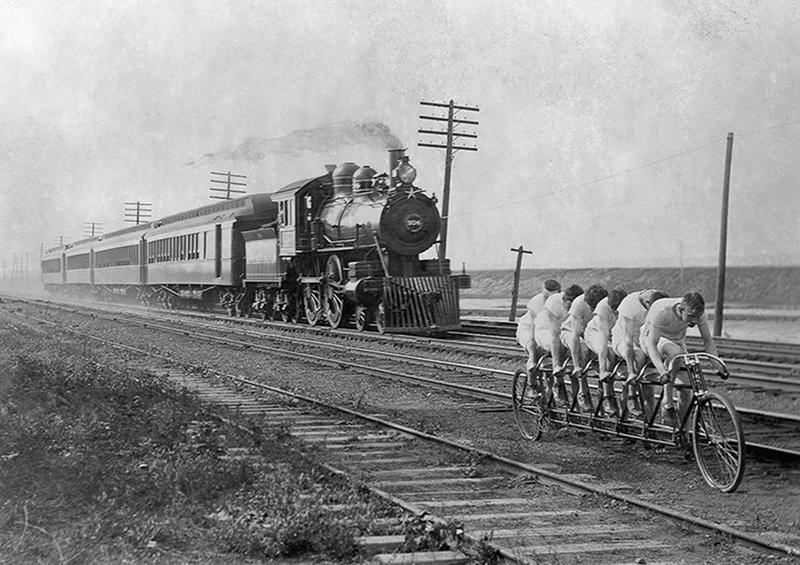 c. 1896: "The Stearns Sextuplets" attempt to outride a train pulling four cars. 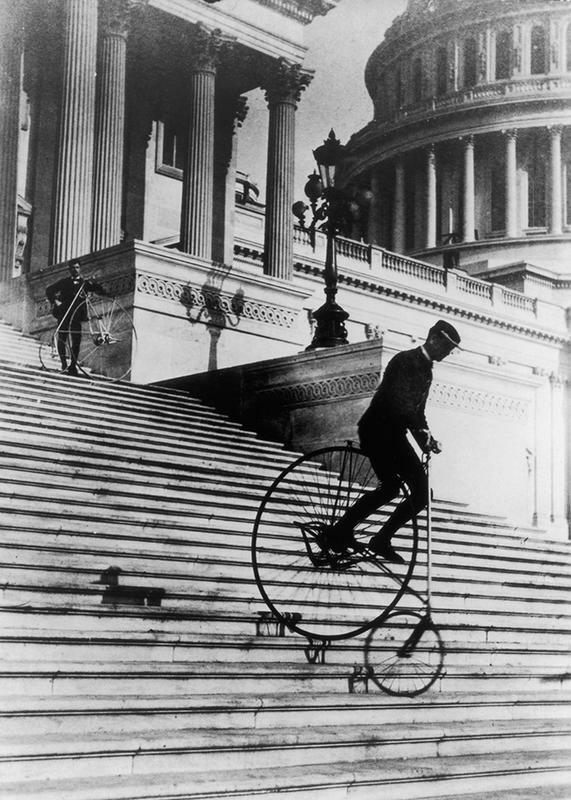 1895: Men ride penny-farthings down the steps of the United States capitol building. 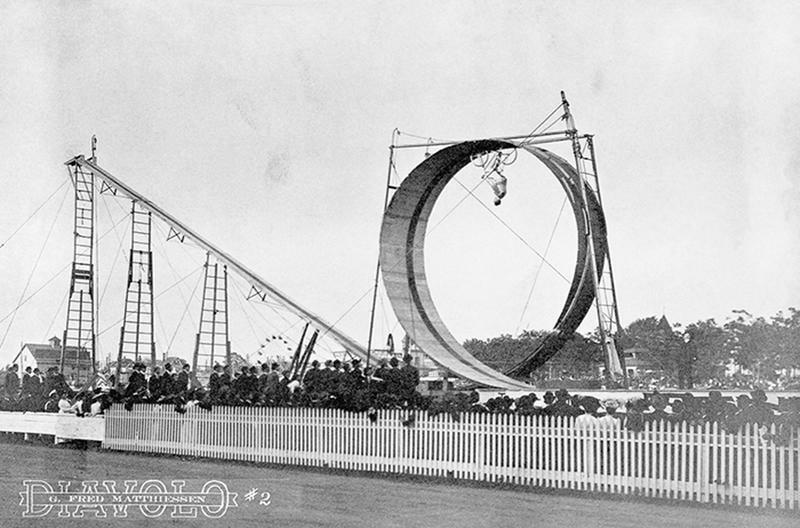 A stuntman rides a bicycle through a loop-the-loop.